Rare find !! Unique and meticulously cared for home with 4 car garage !! Open floor plan .. Newer kitchen with granite countertops, oak cabinets, and island. 30 X 18 deck overlooks professionally landscaped private yard, inground pool, cabana and conservation land! The oversized detached garage has it's own heating system and bonus room on the second floor with balcony and overhead walkway to the house! So many extras including beautiful sunroom , central air and whole house fan . 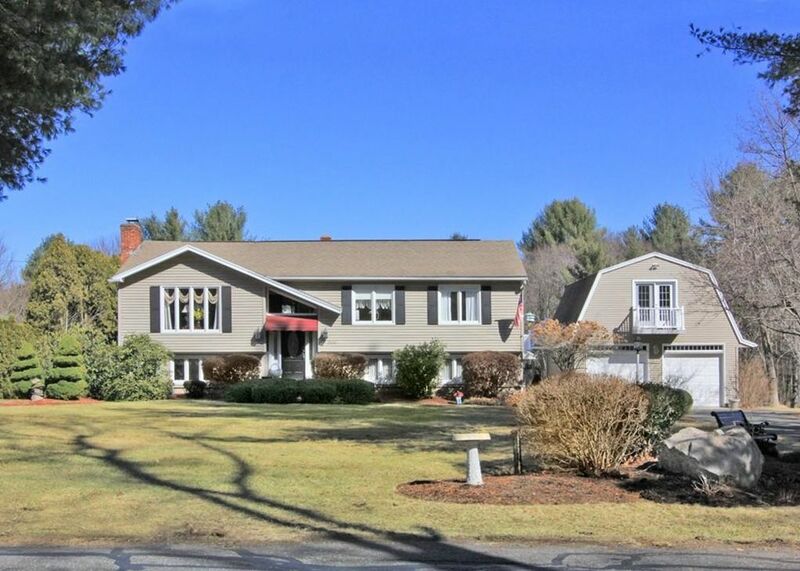 Country living yet so convenient to Mass Pike, shopping. Move in and enjoy !